On a personal level, in the last couple of years, I have become obsessed with listening to podcasts (WTF with Marc Maron is one of my favorites). This new media is pretty fun and one thing I really like about it is that it's very niche-oriented, meaning, that you can find ones that relate to very specific topics you enjoy (Comedy, Cooking, Tech News, etc...). 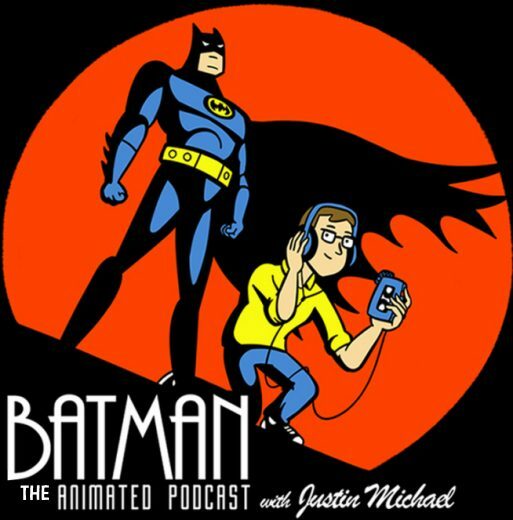 So, I was pretty happy the other day to stumble across one that is totally devoted to the 1990's BATMAN: THE ANIMATED SERIES! It's created by a guy named Justin Michael who lives in Los Angeles. In each episode of the podcast he focuses on an actual episode of the cartoon and he has a special guest along with him who was a part of it. It's a cool concept and he has had Paul Dini, Seth Green, Andrea Romano, and many others (way too many to list). Here's a nice sample down below, check 'em out! !